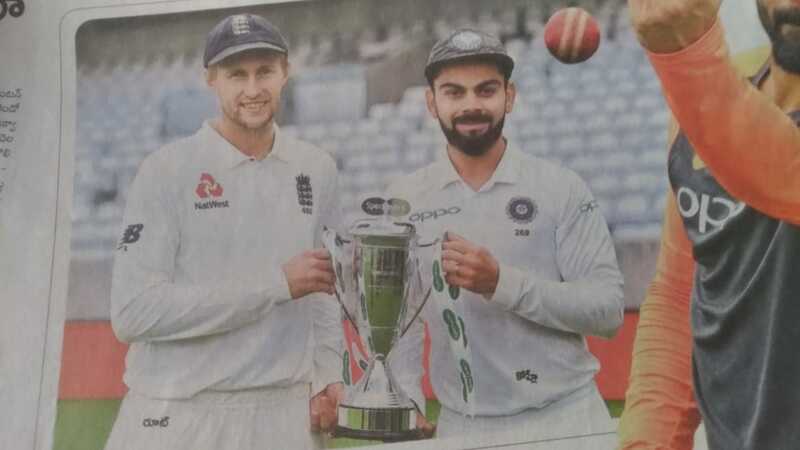 India VS England First Test Match Day 1 Live Updates. India VS England Historical First Test Match is going to Start in Few Hours at Edge Briston. Its 1000 Test Match for England. No 1 ranking in Test Cricket India Team is going to Face the Pace Challenge from England and Win this Historical Series. England is Very Strong team to Compete in England, their Bowling and Batting are Top,How India will counter their Pace Attack. Match will be Start 3:30 in (IST) Time. England Won the Toss and Opted to Bat First. England Started Well . After Loosing First Wicket, Root studied the England Score Borad. Root Score 80 Runs and Brilliently run out by Skipper Virat Kohli. England Were 218/4 After 68 Overs. Shami Took two Wickets and Ashwin Took 1 Wicket. Bairstow Was Brilliently Bowled by Umesh yadav, England Loosing their 5th Wicket for the total 224. England were struggled with Middle Order. Ashwin Strike 4 Times. England Were 283 for 9 after 84 Overs.